New regulations aimed at protecting children from unsafe toys went into effect on February 10th. The Consumer Product Safety Improvement Act of 2008 affects millions of toys previously on retailers’ shelves across the country. 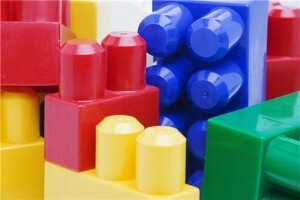 According to the act, toys containing lead and the chemicals known as phthalates cannot be sold. Congress initiated the law following the recall of 20 million toys containing traces of lead, the majority of which were manufactured in China. From Tuesday, state attorneys have the right to enforce the act and remove non-compliant toys from stores. However, late last week the Consumer Product Safety Commission announced that a requirement for retailers to test all of their products for lead and phthalates before selling them had been delayed until February 2010. Although the CPSC says it is writing guidelines to dispel some of the confusion, fathers may find their parenting skills challenged by the uncertainty over whether stores’ current inventories contain potentially dangerous chemicals. There are also questions about how parents should treat the kids’ products they already own and use, as well as how to approach making purchases at secondhand stores. Phthalates have been linked to possible reproductive problems, but studies attempting to discern the exact risk to children have been inconclusive.